Yes indeed, just like kittens playing with yarn, daises in a fresh spring meadow, and a baby’s first steps, the buddies’ golf getaway is one of the finer things in life. These trips afford a wonderful opportunity to share our innermost feelings, touching on the delightful and the delicate, the sensitive and the sublime. Not. Of course, as the boys and I dutifully discovered, when the destination is the Columbia Valley Golf Trail, whatever is lost in bad behavior is gained back tenfold in good times. With seven world-class mountain golf courses within 45 minutes of each other better-than-expected accommodations, and a cool down-to-earth vibe, the Columbia Valley Golf Trail proved to be the perfect destination for our golf-starved posse. (And make no mistake, it’s a great spot for the girls, couples, seniors, you name it!) With a climate that is warmer and drier than Calgary, and a golf season that is at least a couple of weeks longer on both sides of summer, it’s also the perfect place to play in the shoulder season. Okay, I’ll just let the cat out of the bag right now. In our case, “bad behavior” will not conjure up images from a Hangover movie. So don’t get your hopes up. There were no police chases. No missing persons. No tigers running loose in the hotel room. Other than some beer and a few too many single malts, there were no mind-altering activities. Unless, of course, you count temper tantrums. Not surprisingly, the most notable meltdown happened on the putting green when everything was on the line. One of the boys, let’s just call him Pete – wasn’t used to the non-stop heckling, the badmouthing, and the juvenile strategies to get him off his game. It all led to one of the best grand finales and one of the most shocking “choke” jobs I’ve ever witnessed. More on that later. much better. In this case, the “trail” is more like a quick jaunt to the course from what could easily be the same hotel for the duration of your stay. 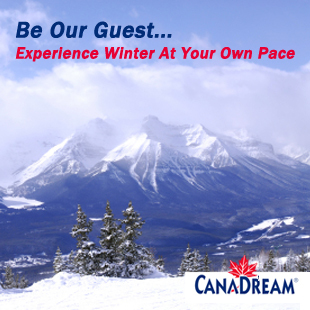 also conveniently located near Invermere, which is the largest center in the Columbia Valley. Our first round at the beautiful Radium Springs course, which soars high above the Columbia Valley Wetlands, was a sweet initiation. Now nearing its 25th year (the original resort course has been around even longer), the Springs offers a fun and eclectic mix of holes. From bluff-top beauties at the start and finish, to a host of challenging doglegs and do-or-die par 3s in the middle stages, the Springs course at the Radium Resort is sneaky good. Sadly, our play was blatantly bad. However, we did discover one important thing: Pete could quite easily succumb to teasing and taunting! the closing holes) are its main defense, the course also features dramatic drops, gorgeous mountain views, and an excellent variety of holes. And like most of the best courses you’ve played, it builds to a stirring run of holes at the finish. Complete with one of the best clubhouse restaurants in western Canada, Eagle Ranch boasts outstanding service from start to finish. 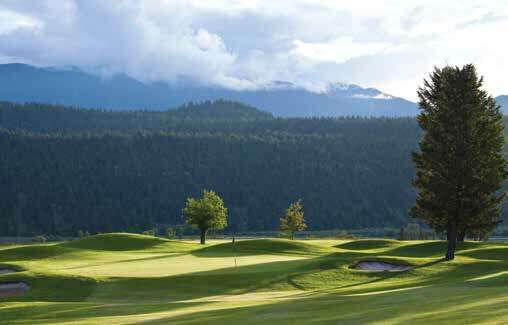 It is a must-play on the Columbia Valley Golf Trail. Next door to Eagle Ranch, Copper Point is another outstanding facility. It boasts two courses, including a shorter “Masters” course, that showcase the beauty of this stunning mountainous region. The original course, a minimalist design that expertly uses the rolling terrain, is chock-full of raised greens, ragged bunkers, and frustrating slopes. It requires a steady thoughtful approach … something that our group this day did not, unfortunately, possess. After playing both classic resort courses at Fairmont Hot Springs – both Riverside and Mountainside are long-running Columbia Valley favourites – in one epic 36-hole day, we were fully acclimatized to the laid-back charms of the Columbia Valley. The pace of life here is decidedly slower. The sparkling lakes, the hot springs, the beaches, the artisan galleries, and of course the jagged, snow-capped mountains that surround everything combine to create an atmosphere that speaks rest and relaxation. Of course, if your putter is badly misbehaving and the boys are on your case, things can get a little tense. With pride and a few toonies on the line, the stakes at the esteemed Greywolf Golf Course were high. And Pete, who had taken too much of our money, was feeling the heat. Cliffhanger hole at Greywolf Golf Course. many of Canada’s best courses in the past decade. 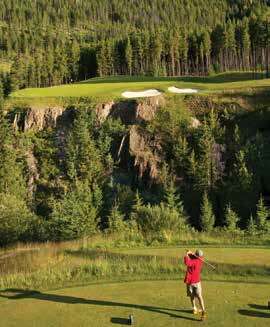 Greywolf, while not an “official” course on the trail, epitomizes what the mountain golf genre is all about. Spacious landing areas, huge elevation changes, and spirited mountain creeks rush through the course. The 7,140 yard layout at Greywolf features postcard-pretty holes from start to finish and is, unquestionably, one of the greatest mountain golf courses in the world. The famous “cliffhanger” hole, the par 3 sixth, is a legend in its own time. Unfortunately, the same cannot be said for Pete. Shockingly, our four-man skins game at Greywolf featured eight carry-overs in a row on the back nine. So it all came down to the 18th. Pete, one of the greatest “sandbaggers” of the 21st century, skulled a 7-iron approach to two feet. It was disturbing, to say the least. However, with multiple hexes on him, as well as much coughing, sneezing, and wheezing during his backstroke, he yanked his putt wide left. It was priceless. So perfect, in fact, that we decided to carry over all the skins for next year’s trip down the Columbia Valley Golf Trail.